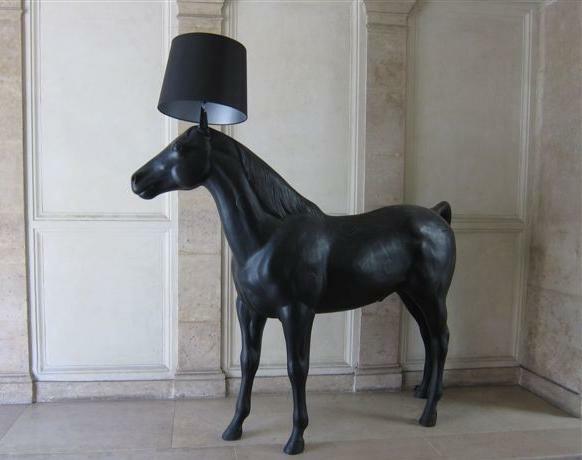 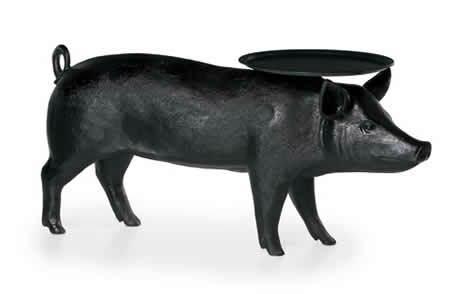 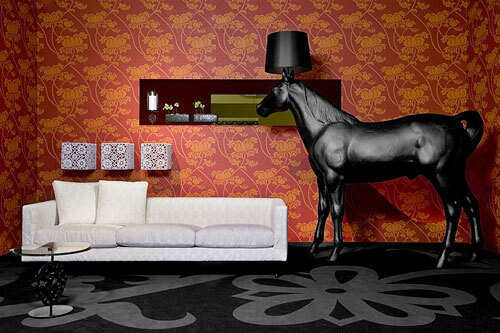 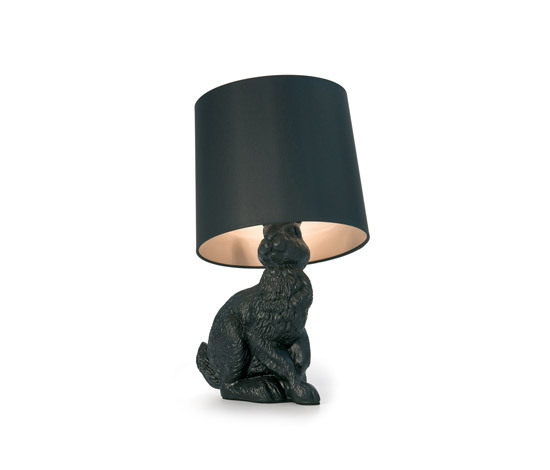 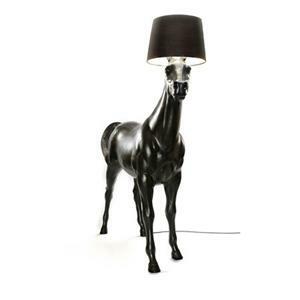 Whether it be a leather stuffed animal, a horse-shaped lamp or a bed shaped like a bird, animal-style accessories can liven up a room and inject some comedy into a space! 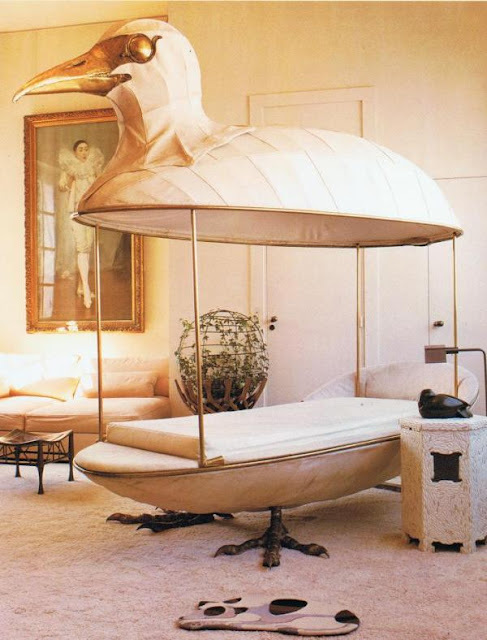 Canopy bed sculpture by François Lalanne in an early Paris apartment living room of Jacques Grange. 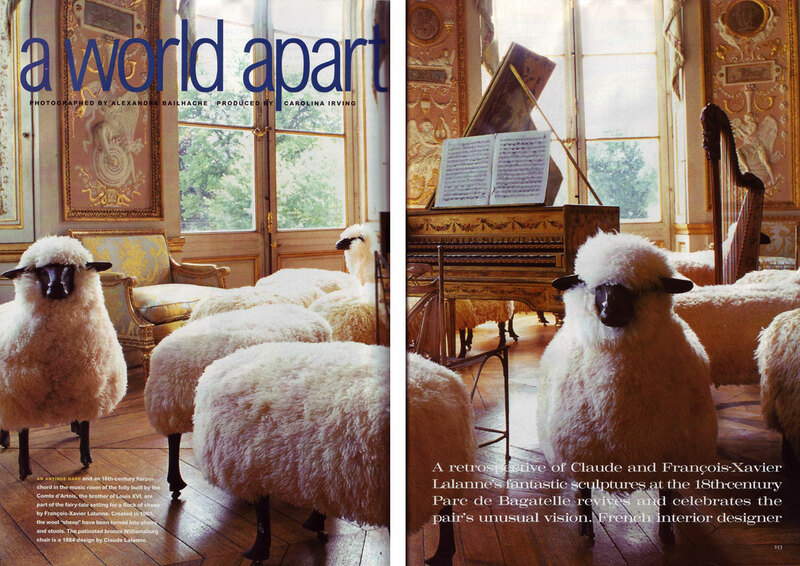 From the book French Style by Suzanne Slesin & Stafford Cliff. 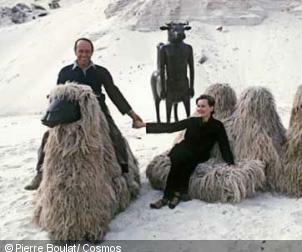 Claude and François-Xavier Lalanne worked and exhibited together for decades and hold a particular place in the world of contemporary art. 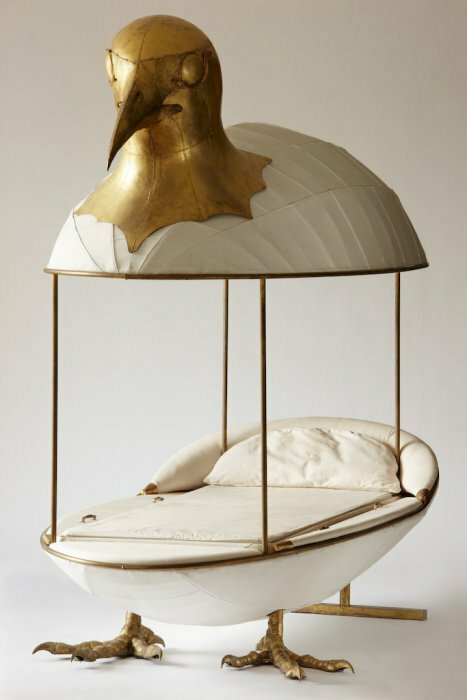 As well known for their monumental sculptures as their day-to-day objects, they took their inspiration from nature and animals, always trying to ensure that their work was beautiful as well as practical. 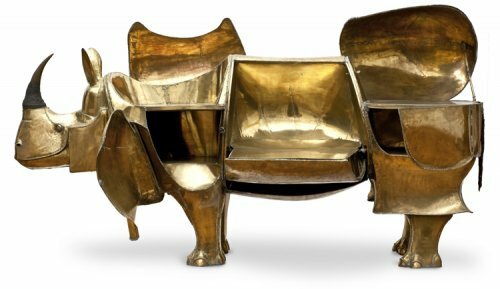 If you lift up the sides of the giant brass rhinoceros by François-Xavier Lalanne, it turns into a secretaire with a writing table and storage boxes. 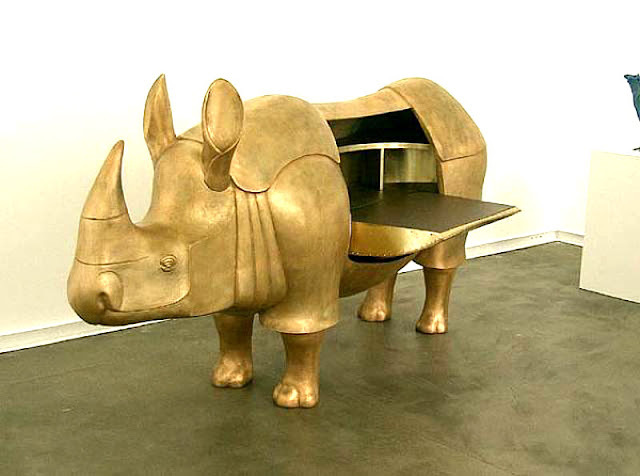 Jonathan Adler stuffed leather rhinoceros.